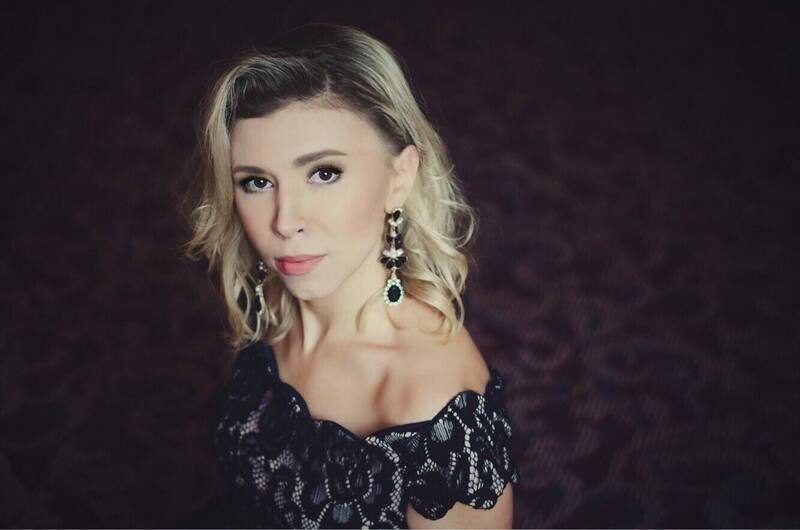 Eastman Philharmonia to perform an entirely romantic program, featuring Concerto Competition winner Maria Vasilevskaya performing Mussorgsky’s Songs and Dances of Death. Join the Eastman Philharmonia, along with conductors Neil Varon and Zeke Fetrow, on Friday, October 19, 2018 for an evening that will feature some of the most iconic works and composers of the Romantic era. Friday evening’s program will feature Wagner’s Overture to Tannhäuser and Richard Strauss’s Suite from Der Rosenkavalier, as well as Mussorgsky’s Songs and Dances of Death performed by the winner of the Voice and Opera Department Concerto Competition, Maria Vasilevskaya. Vasilevskaya is a mezzo-soprano originally from Novosibirsk, Russia. In meeting with her about her upcoming performance with the Philharmonia, she shared some fascinating insight into this beautiful cycle, spoke about her favorite Russian composers, and shared some tips and tricks for non-native speakers who are interested in delving into the canon of Russian art song. What is it that first drew you to this cycle? I heard a recording of this cycle many years ago performed by one of my favourite Russian mezzo-sopranos, Irina Arkhipova. What drew me to this cycle is that it is such a unique piece. The way it’s arranged is that one performer gets to portray multiple characters; including the narrator, and death itself. Mussorgsky was a very extraordinary composer. He composed as if he was a stage director, staging his own music. For example when you hear the first movement of the cycle, which is called, “The Lullaby,” the story behind it, is that the exhausted mother is trying to put her terminally ill child to sleep, but the baby keeps crying. Suddenly, Death shows up to take the child’s life away from her. The way it is all set up is that we get introduced to this dark room, there’s candle dimly burning, and altogether; the way the music is, the piano part, the singer-narrator —we get to experience something three-dimensional. As a listener you feel totally immersed in the picture, witnessing the conversation between mother and Death over the child’s cradle. This is why I was completely blown away the first time I heard it. It’s a great opportunity to show that besides being a singer and musician, you are also a storyteller. It’s a big challenge, not just musically and technically, but because you really have to be an actor, presenting Death in four different roles and switching between multiple characters in a short period of time. Why do you think this is considered one of his masterpieces? The way he treated the word – I don’t know of anyone else who could do it like he did. He also captured these different situations that we can all relate to. We can always see ourselves in those pictures. It’s an everyday situation: death is always around us, and comes unexpectedly. The composer himself hated death, and he wrote this after his very close friends and someone he loved passed away absolutely unexpectedly. 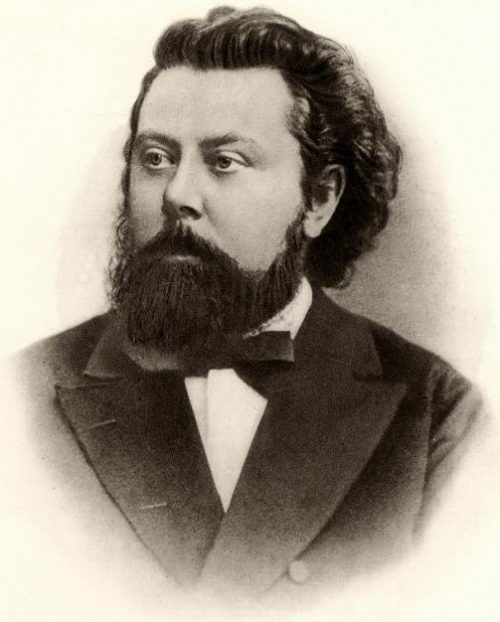 Mussorgsky created this piece in collaboration with his friend and roommate, Arseny Goleníshchev-Kutúzov. The way the whole cycle came together is very interesting; they basically wrote the words and the music jointly at the same time. I think this is one of the reasons why it became one of the greatest works. He’s a phenomenal composer, very creative, but for some reason quite underestimated. The music itself is also very distinctly Russian. Mussorgsky uses many Russian folk motives throughout the cycle, and it really is an important work for Russian culture. How is death viewed in Russian culture? There is this notion in western culture that when people talk about Death it is something masculine. But in Russian language and Russian culture, Death is a female – it’s a feminine word. Originally, Mussorgsky planned to name this cycle “She”( meaning Death herself), however, after he added the fourth movement, “The Field-marshal” to it, the name was changed to The Songs and Dances of Death. What are some important things young singers who are trying to perform Russian repertoire for the first time should know or keep in mind? There is this stereotype about the Russian language, that it is very harsh and very pulled back. I think sometimes this stereotype can really get in the way of young singers, and it isn’t correct. Russian is actually a very soft language with a lot of soft consonants. My recommendation would be to go back to the poem, and go on the Internet and find a recording of someone reciting the poem. When you’re listening to recordings, always listen to native Russian singers and speakers performing the works. Who is your favorite Russian composer, and why? I feel like I’d be betraying the others if I pick just one, but probably Tchaikovsky and Rachmaninoff would be my top – but again I can’t even say my top favorite. Their music is just something my soul resonates with. It has a strong message, very passionate and very nostalgic at the same time. Rachmaninoff is often called the “most Russian” composer, who continued traditions of Russian music created by Tchaikovsky and Rimsky-Korsakov. His music is full of love and expression. but also deep melancholy. Tchaikovsky is one of the first composers that many Russians interact with because of the theatre. It’s a very popular activity in Russia to go to the theatre, where you can see The Nutcracker, Swan Lake, etc. ; I grew up with this music. Also the first opera that I did was Eugene Onegin. Tchaikovsky was unable to openly express his true self and was forced to live behind lies and suffer for his entire life, but he hid all his emotions and pain in his music. His Symphony No. 6 (Pathétique) is the most vivid example. Probably, this is why it has such a strong impact on me every time I hear it. I feel like almost every artist struggles with the need to be understood and seeks a means of communication through their art. I can relate to that as well, especially living in a foreign country, experiencing a different culture. I always come back to these composers, to their music and it makes me feel stronger, makes me feel like I am home. 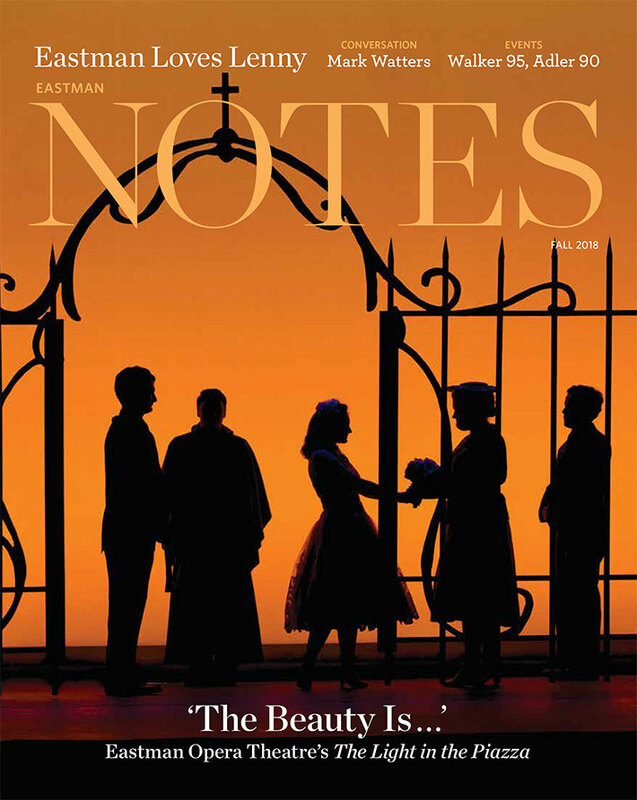 This performance will take place in Kodak Hall at Eastman Theatre on Friday, October 19, 2018, 7:30 p.m. to 9:30 p.m. This event is free and open to the public.